Playa d'en Bossa, Ibiza. Rona’s Deli & Burger is Tripadvisor’s number one restaurant in Playa d’en Bossa and with good reason. 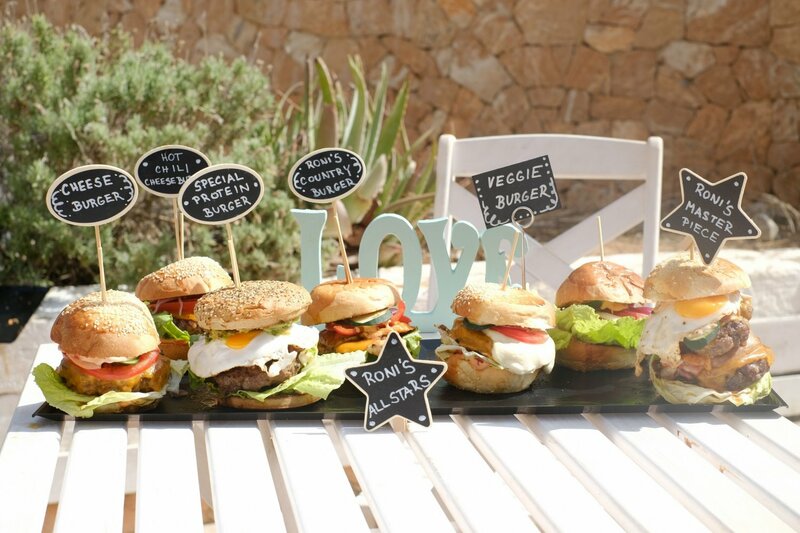 Rona's Deli & Burger is Tripadvisor's number one restaurant in Playa d'en Bossa and with good reason. Rona's Deli is a cute little venue that's located just 50 metres from the beach of Playa d'en Bossa, right between Ushuaia and Bora Bora. Rona and her team serve healthy, delicious, home-made meals, using mainly locally-grown, organic and fresh ingredients. Whilst creating some delicious food offerings and detox smoothies that are great for keeping fit, you'll be delighted to find super tasty food that's great for the soul. Rona's Deli is famous for its award-winning burgers - some say they are the best in Ibiza - and delicious home-made fries. So that you know exactly what you're eating, detailed nutrition facts are provided for every single burger. Rona's Deli serves the perfect mix between soul food and super-food: you can either try their mouth-watering burgers with a homemade lemonade or eat a freshly made salad, quinoa bowl, protein pancake or porridge together with a refreshing smoothie or protein shake. Food here is made with love and passion. A delivery service is on offer to any hotel in Playa d'en Bossa or directly to the resort's beach. Burgers can be ordered via Whatsapp for delivery or for take-away. Of course, it's worth checking out the lovely venue where you can expect a chilled and calming atmosphere and very friendly staff. Call us on +34 660 485 761 or send a booking request below.